Choosing the right tequila can be difficult. With so many types and brands it can be a mystery, but we’re here to give you a few tequila tips when it comes to selection. While most tequila is distilled in Mexico there are a few variations in the distilling process you should consider before purchasing. 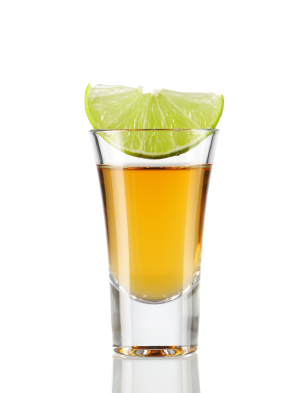 Age is one of the most important characteristics of tequila. Although tequila is not often sold as an “old liquor,” just a few short years can make a huge difference. Silver tequila is the purest form of tequila. Its young age (bottled immediately after distillation or within two months) allows you to have the true flavor of the agave plant. The sweet, natural tasting tequila is then stored in steel containers and bottled immediately after being distilled. Gold Tequila is typically a mix of Silver and Reposado (aged) tequila. This mix is often used for mixed drinks but can still be 100% agave tequila. Reposado tequila is at the beginning of extended aged tequila. The tequila is stored in wooden barrels that are typically 200-600 liters large for between 2-12 months. Oak barrels are most commonly used because of the unique flavor the tequila acquires during the aging process. Anejo (extra aged) tequila is any tequila that has aged for longer than one year but less than three. The long aging process gives the tequila a unique smooth taste and the amber color is a contribution from the barrel giving the tequila its dark color. Extra Anejo, also known as ultra aged, is a fairly new style of tequila. Introduced in 2005, Extra Anejo is tequila that’s aged for more than three years. The long aging process allows for a deep color and very smooth taste. Reserva is any tequila that is aged more than eight years. This long rested tequila has a very dark color and an extremely smooth taste that rivals even the best liquors. Not only does Reserva rival in taste and smoothness, but also in price. Reserva’s price follows its flavor and can be quite expensive. Now that you’re informed on the different types of tequilas, your purchasing decision should come easier. Whether you want a sweet or deep, smooth taste, you can find the tequila that is right for you. Lastly, be sure to always select tequila that is 100% agave. The natural tequila is free of added sugars and artificial additives. This will help prevent unpleasant next-day illness often associated with tequila. Wine Delight is a leading online retailer of the finest tequila. With custom bottle engraving options available, Wine Delight is your best choice for gifts for corporate parties, anniversaries, weddings, and more. Napa Valley has long been considered a premier wine region in not just the United States but the entire world. More than 90% of all wines produced in the United States come from California. With a climate similar to that of the Mediterranean and fertile, easy-to-grow-on lands, Napa Valley has been conducive to growing wine grapes since the 19th century. However, it wasn’t until the Paris Wine Tasting of the 70s that Napa Valley really emerged as a premier wine region. With well over 450 wineries in the region, Napa Valley is home to many wines on all areas of the flavor spectrum from merlot, to cabernet sauvignon, chardonnay, pinot noir, and others. Wine Delight carries an abundant array of wines from the United States and Napa Valley specifically at affordable prices. The Heritance Cabernet Sauvignon also blends in Merlot grapes to create an aroma of fragrant black fruits and just a touch of oak for spice and complexity. At a reasonable price of $25 for a bottle aged five years, this wine is sure to please any palate. For someone looking for a creamy chardonnay with robust hints of vanilla, honeysuckle, and white peach look no further than a 2010 William Hill Estate Chardonnay. This full-bodied, rich wine is a luxurious beverage perfect for celebrations or just relaxing after dinner at the very affordable price of $20. For the wine connoisseur and enthusiast, we recommend treating yourself with one of the more luxurious red wines available from the Wine Delight Napa Valley collection. The 1999 Robert Mondavi Reserve Cabernet Sauvignon has a very intense flavor with fantastic herbal notes and hints of berries. At $150 a bottle, this wine should certainly be considered when buying a gift for the dedicated wine enthusiast. A more economical option without surrendering quality of taste would be the 2008 Hall Napa Valley Cabernet Sauvignon at $48 a bottle with hints of plum, espresso bean, and graphite. Whatever your choice of wine from Napa Valley, you’re sure to find a robust, flavorful, delicious wine you and your loved ones will enjoy. With the ability to custom engrave your wine bottles for friends and family, there’s never been a better way to mark an occasion or milestone. Cheers! 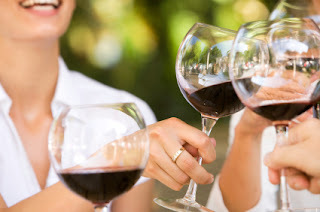 Wine Delight is a leading online retailer of the finest red and white wines available. With custom bottle engraving options available, Wine Delight is your best choice for gifts for corporate parties, anniversaries, weddings, and more.